This is for a set of salt and pepper shakers, with Mickey or Minnie head vinyl decals! 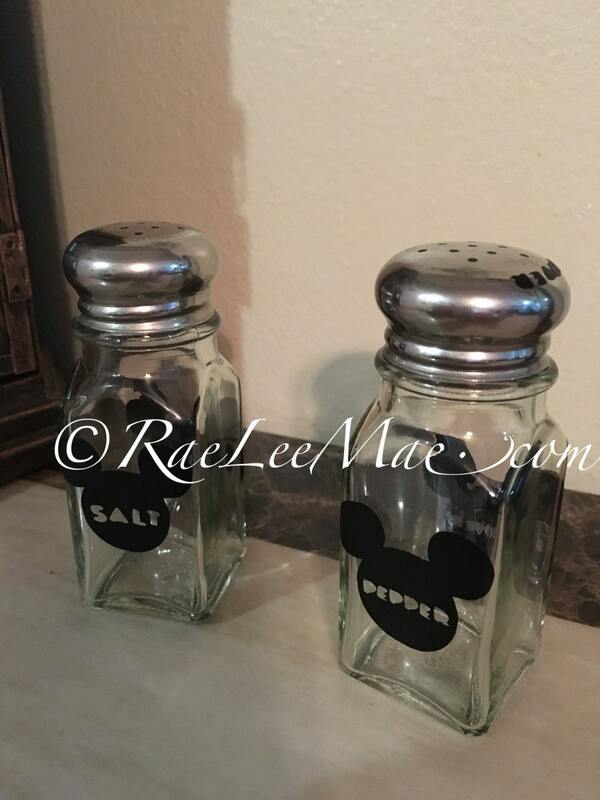 Use these adorable salt and pepper shakers for your next Minnie Mouse or Mickey Mouse party event! Check out our hot diggity dog ketchup, mustard, relish or mayo bottles! See our other listings. Sold separately!!! Love my salt and pepper shakers! They look great in my Mickey kitchen. There was a slight delay in my order, so she sent me a free gift. The gift was not necessary, but greatly appreciated. Perfect! Exactly what I ordered, it came on time, and the shop was responsive to inquiries. Will definitely recommend and work with them again!